The location. The amiability of the owner. The cleanness. It is impossible to choose one aspect of the accomadation that we liked as it ticked every box for us. 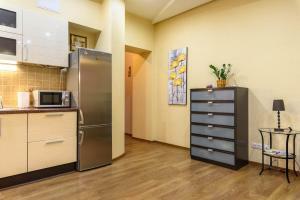 The location, cleanness, and renewed facilities of the apartment are absolutely fantastic. The host was really nice and helpful, also attentive and fluent in English. Every appliance needed for a great stay. Would recommend every time. Hosts were very friendly, the apartment was exceptionally well appointed, superbly located, couldn't fault it. Yardımseverliği, evdeki ikramlar(Su, çay, kahve, çukulatalar...) We had great time in there. They greeted us when we arrived also they found a taxi for us when we were leaving. It wasn’t about just taking money and giving the keys. They arrange all the things and tried to answer us all the thibgs about st petersburg (if they didn’t know they searched also) they were always smiling and welcomed. In the house there were everything you could want including an umbrella! Smell was perfect we felt like we are at our home. Thanj you Galina and Victoria! We really enjoyed the apartment. It was clean and had everything we needed. The location was fantastic. It closes to many main attractions. The host was very friendly and helpful with well spoken English. Everything ! Very nice owner. The apartment has everything you need. Ez volt a legjobb szállásunk, ahol valaha voltunk. A felszereltsége, a tisztasága, az elhelyezkedése tökéletes volt. Gyakorlatilag mindent találtunk, amire szükségünk volt. Nagyon jól esett ez a gondoskodás. Kicsit tartottam tőle, hogy fázni fogunk, nem szoktunk ilyen hideg télhez, de a lakás jó meleg volt, egyszer kapcsoltuk csak be a kiegészítő fűtést. A lakásból nincs kilátás a Mojka folyóra, de a házból a hátsó kapun keresztül szinte egyenesen a Palota térre léphettünk ki, így egyáltalán nem hiányoltuk az utcai kilátást. Annak ellenére, hogy közel van a főúthoz, a lakás nagyon csöndes. Az udvar és a lépcsőház is tiszta és rendezett , a lakók rendesek. Minden nagyon gördülékenyen ment, sokkal jobban, mint amire számítottam. Ez a szállás tökéletes volt városnézéshez, nagyon jól választottunk. Очень понравилось!Очень чисто, уютно и комфортно!! !Все продумано до мелочей:чай,кофе,ватные диски,ватные палочки,зонтики и даже губка для обуви!Особенно приятным бонусом было вкусное шампанское и пирожные к нему!Редко в гостях чувствуешь себя, как дома!Гостеприимная отзывчивая хозяйка!Галина,спасибо Вам большое!! !Вы - супер!Обязательно приедем еще! 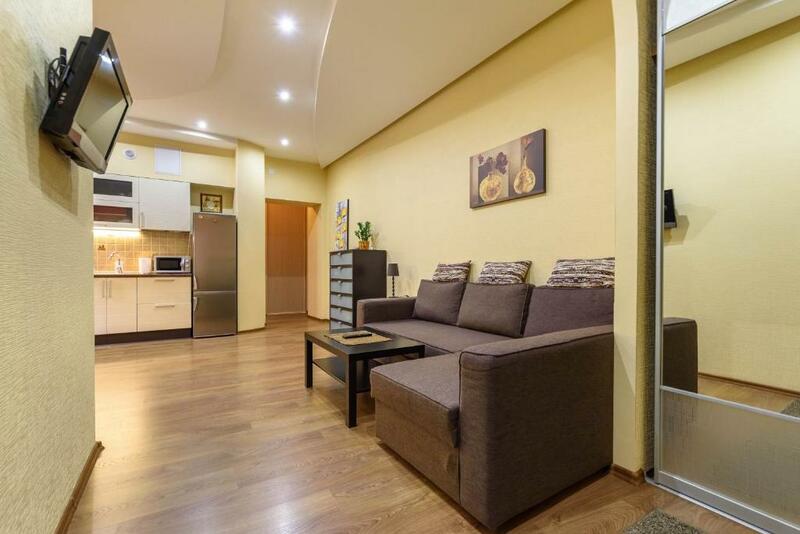 Lock in a great price for Galla Apartments – rated 9.8 by recent guests! Located less than 0.6 mi from Saint Isaac's Cathedral and a 5-minute walk from Winter Palace, Galla Apartments is set in Tsentralny district of Saint Petersburg. The property is 0.6 mi from State Russian Museum and 2,650 feet from Church of the Savior on Spilled Blood. The 1-bedroom apartment is equipped with a kitchen with a dishwasher, and 1 bathroom with a bath and a washing machine. A flat-screen TV with satellite channels is provided. Palace Square is 500 feet from the apartment, while Hermitage Museum is 1,000 feet from the property. 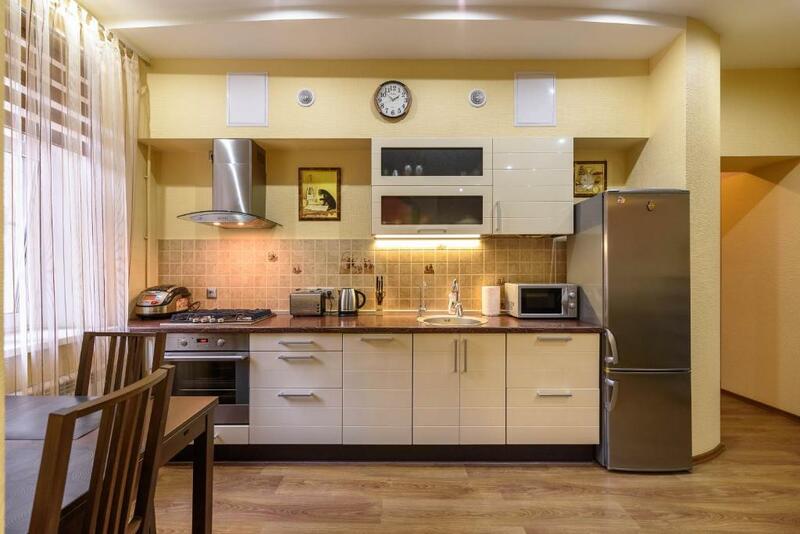 When would you like to stay at Galla Apartments? 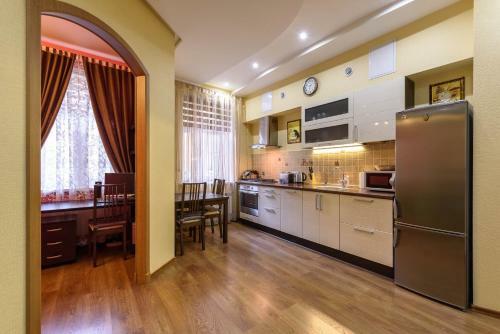 This apartment features a tile/marble floor, stovetop and dishwasher. Апартаменты находятся в самом центре Cеверной Венеции, в двух минутах ходьбы от Дворцовой площади и рядом с Невским проспектом! Добрая, вежливая и отзывчивая хозяйка! В окрестностях огромное количество, дворцов, музеев, кафе и ресторанов! House Rules Galla Apartments takes special requests – add in the next step! A damage deposit of RUB 5000 is required upon arrival – that's about 78.36USD. This deposit is fully refundable at check-out as long as there's been no damage to the property. the apartment is really really Nice. No credit cards are accepted. The stay must be paid in cash. The ATM machines nearby deliver up to 20,000 rubles per day. I also suggest having a door separating the bed room from the living. This would give more privacy to the couple. 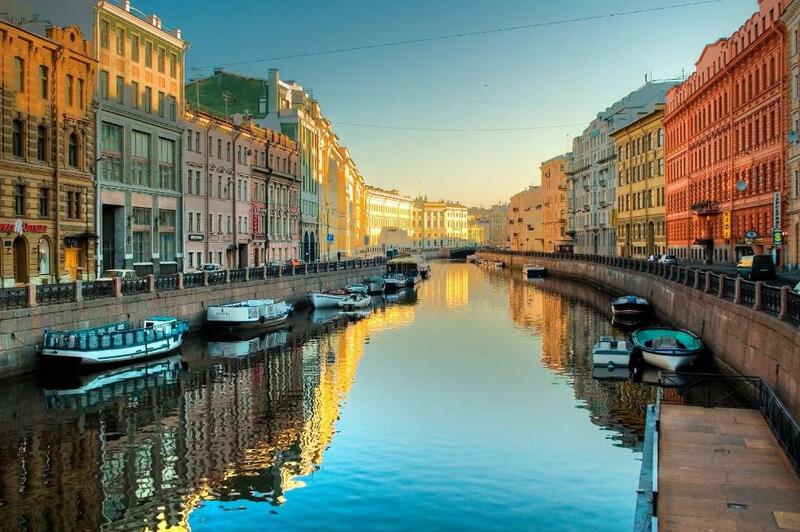 The place is perfect to visit St Petersburg. 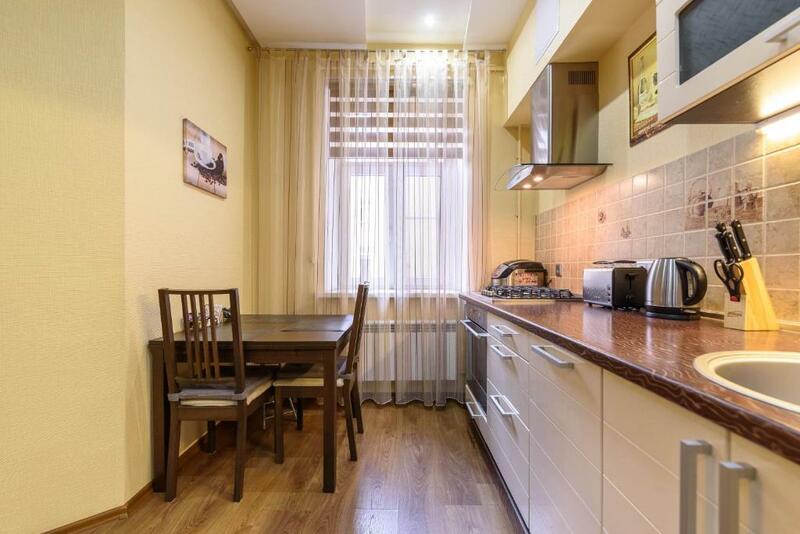 It is located in front of a beautiful channel (with no view from the apartment), five minutes walking from the Hermitage or Nevsky Prospect. ATMs, food stores and many kinds of restaurants are close. 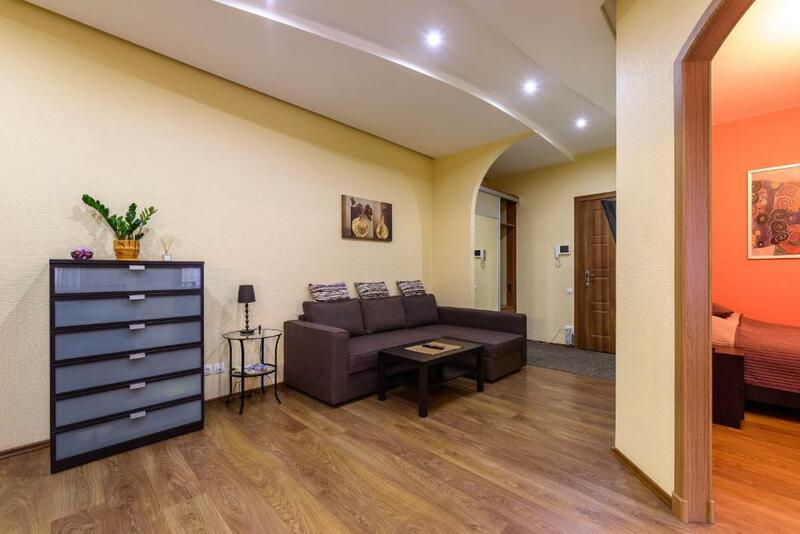 The building is not new, but the apartment is totally new and well decorated. It is also fully equipped, very clean and silent. We are a family of 4 (couple, a daughter 22 y.o. and a son 17 y.o.) Our 5 days stay was very comfortable. We cooked and washed our clothes. I would like to thank Miss Galina for providing an inflatable mattress. The living room has a sofa-bed suitable for 2 people. However, the mattress allowed my son and daughter to sleep more comfortably in different beds. The double bed is comfortable also. Miss Galina does not speak English, but is very friendly and did her best to please us. Her daughter Victoria speaks perfect English and was always available by phone or watts to intermediate the communications with her mother. My compliments, I do recommend Galla Apartments for families and groups. In fact, this was one of the best private apartments that I ever stayed.